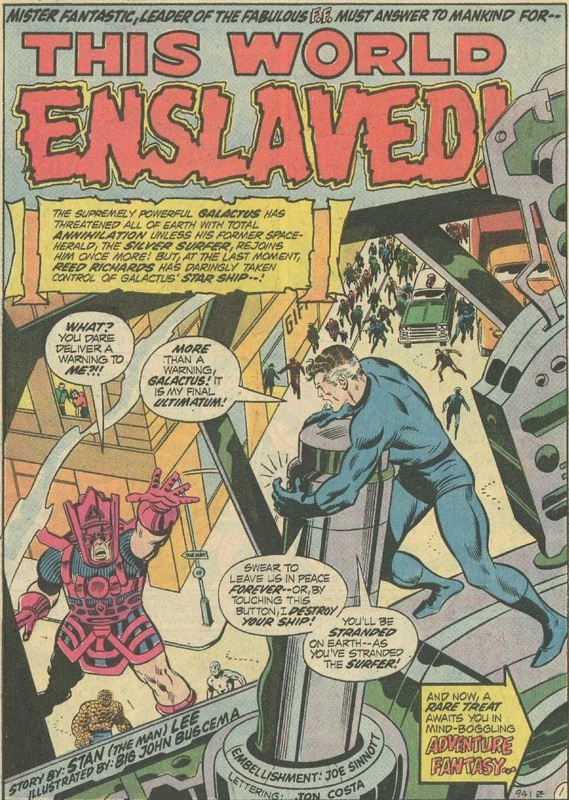 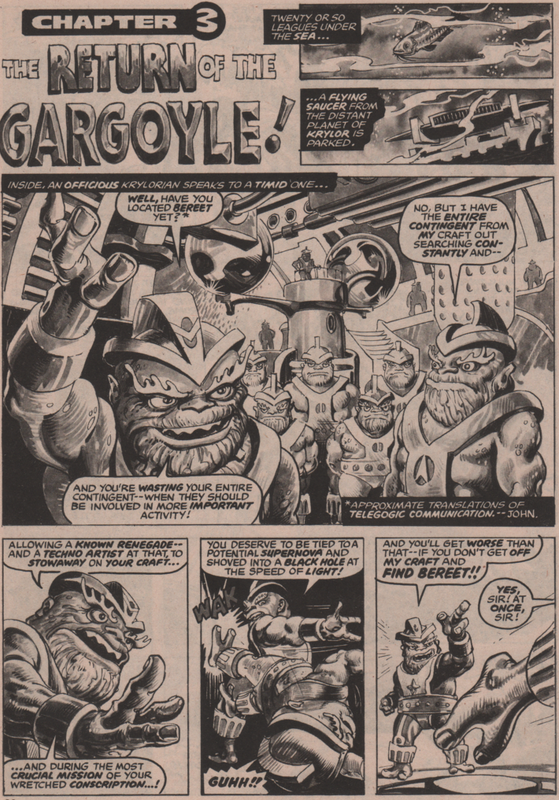 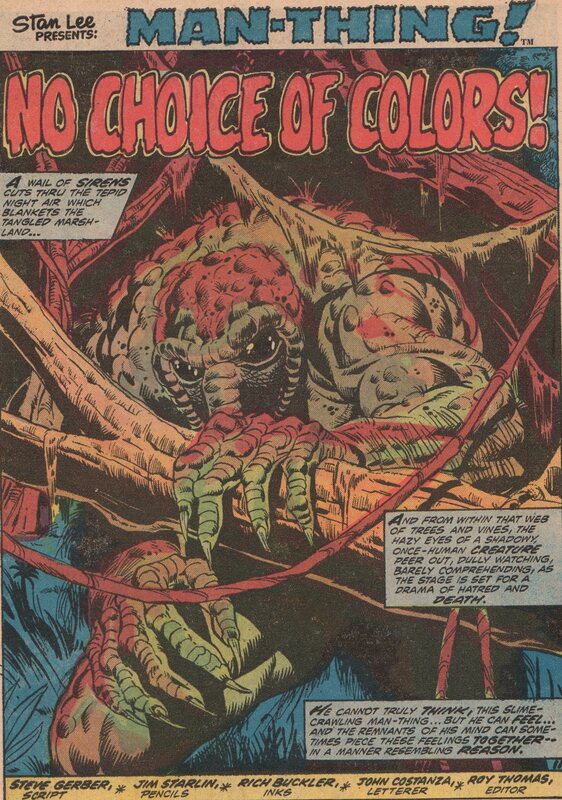 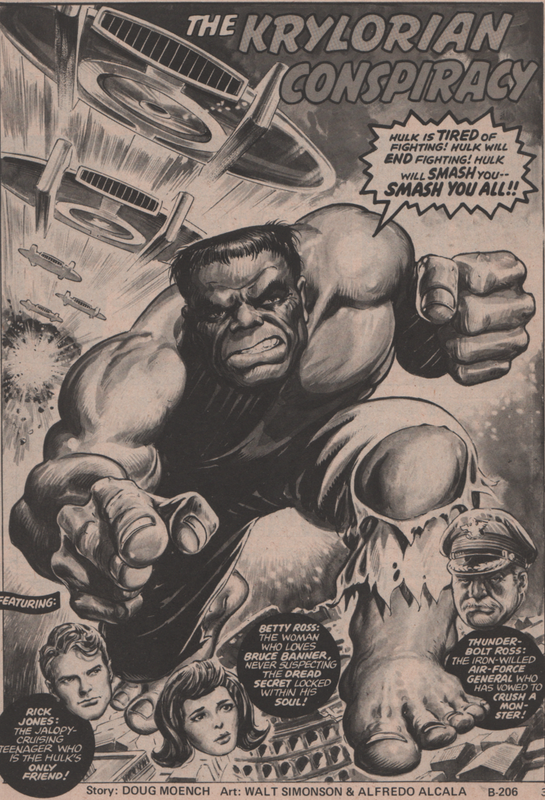 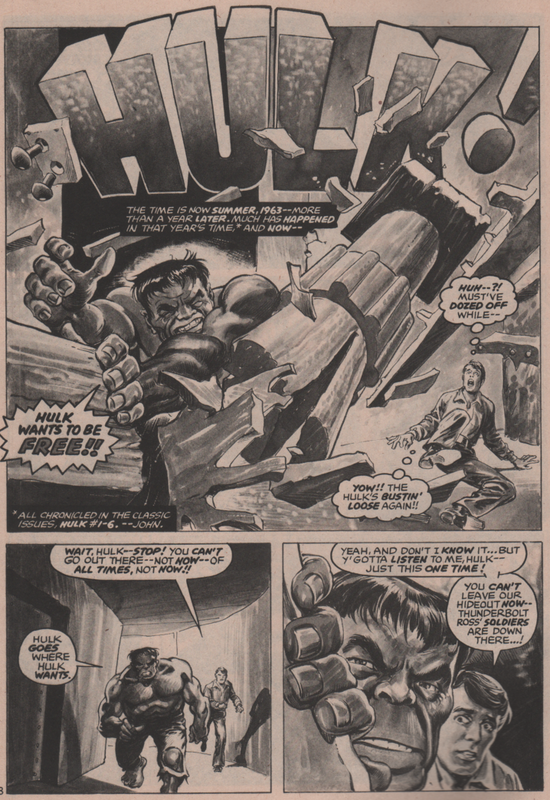 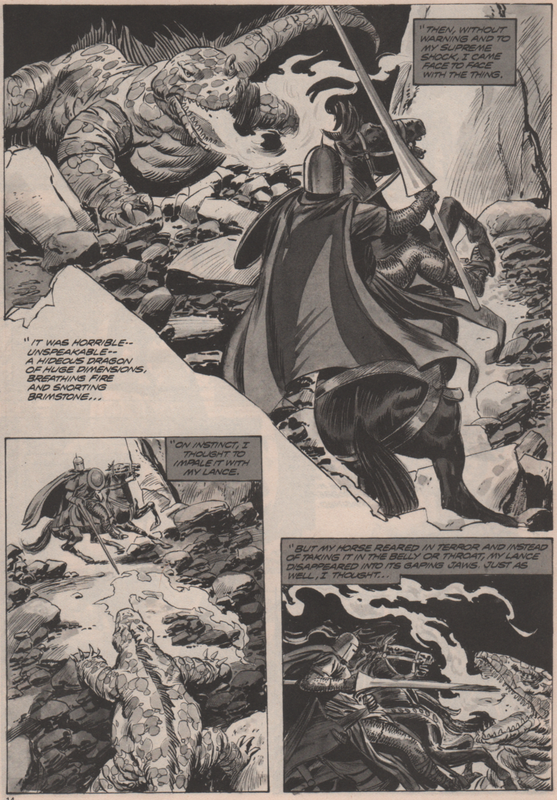 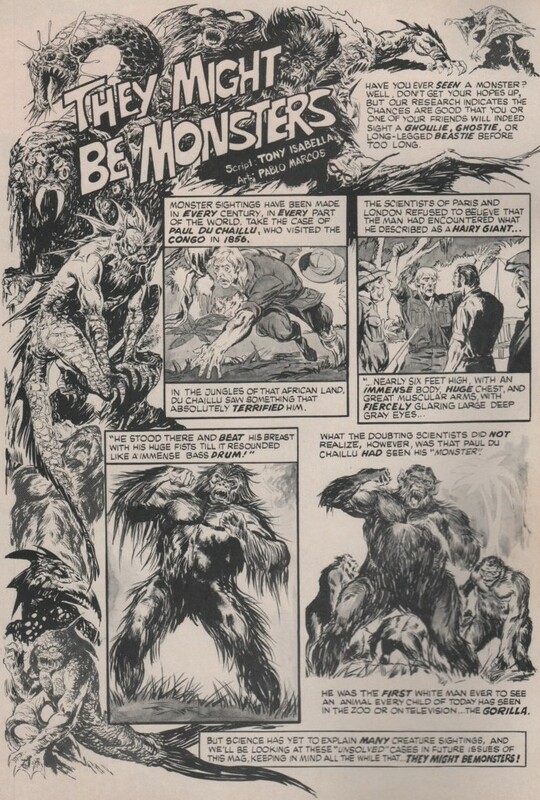 John Buscema | Magazines and Monsters! 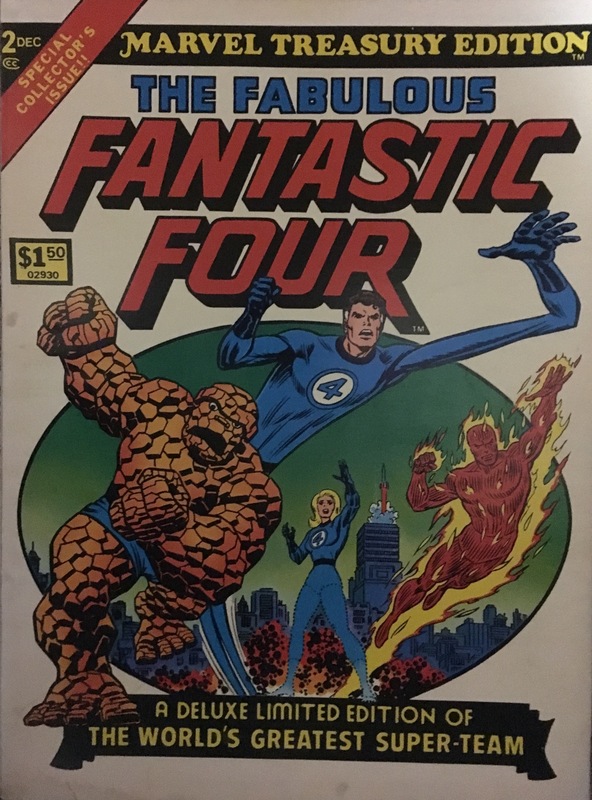 Is there anything more awesome than the over-sized comic book? 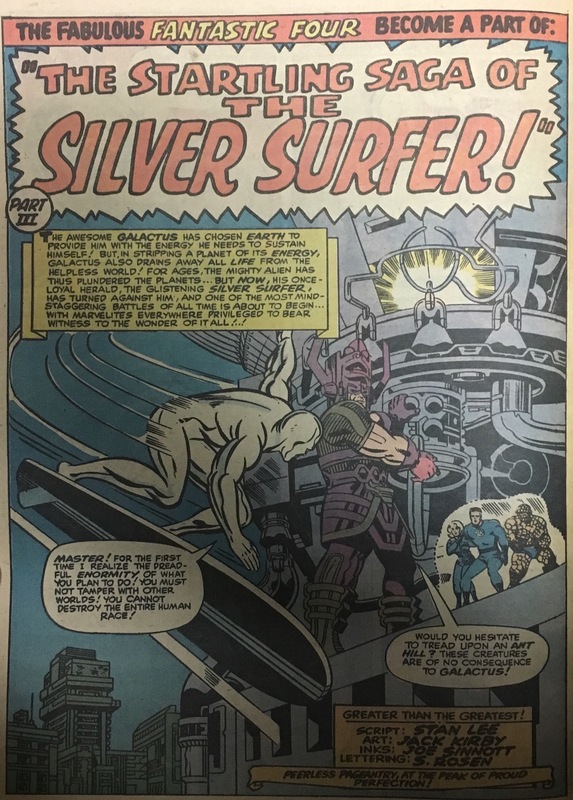 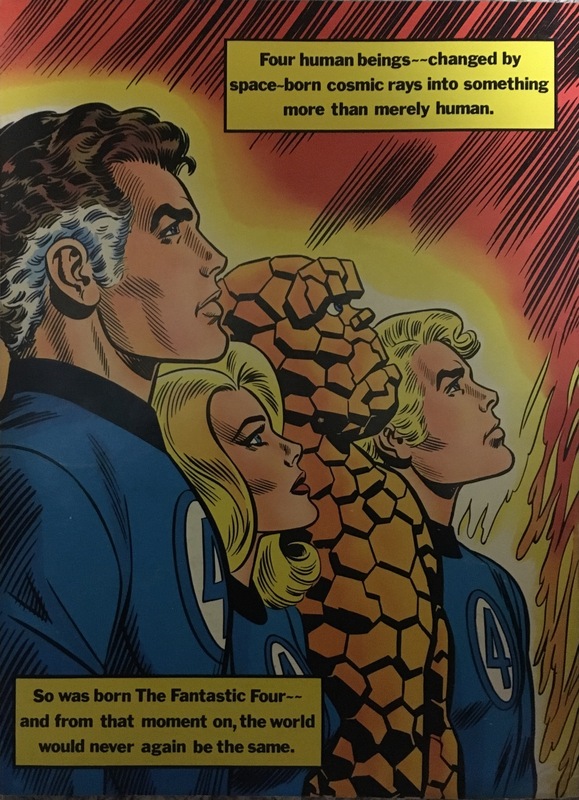 Of course not, and Marvel comics lead the way in spectacular fashion in the 1970s in the form of the Treasury Edition! 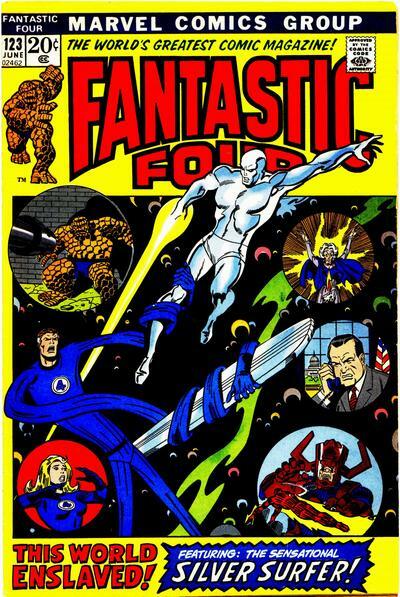 And not only just a Treasury Edition, but a holiday edition! 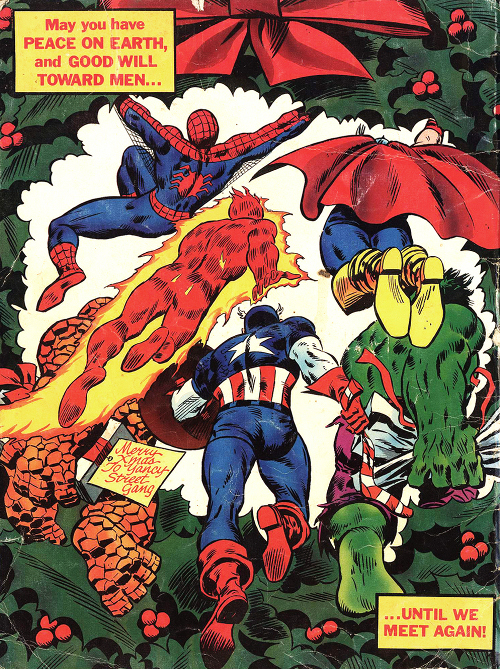 Now, just for the record, only two of the stories inside actually have a Christmas theme, but hey, let’s not get picky! 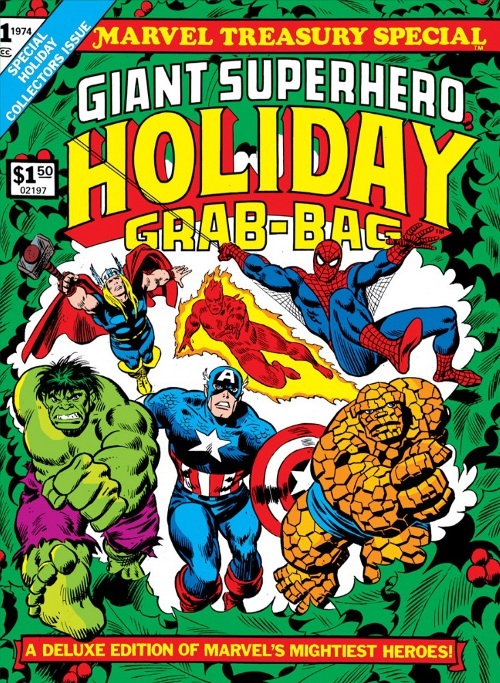 The first story is probably the best “holiday” centered of the entire book. 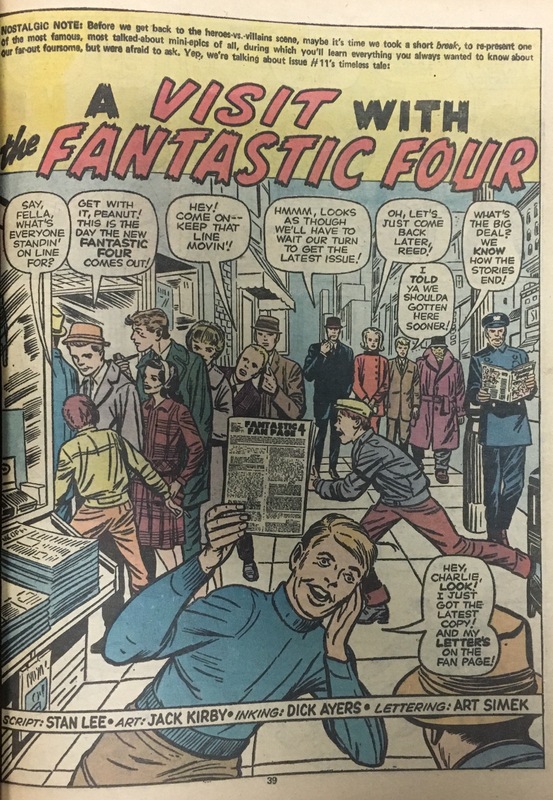 We see Spidey and the Human Torch take on the Sandman! 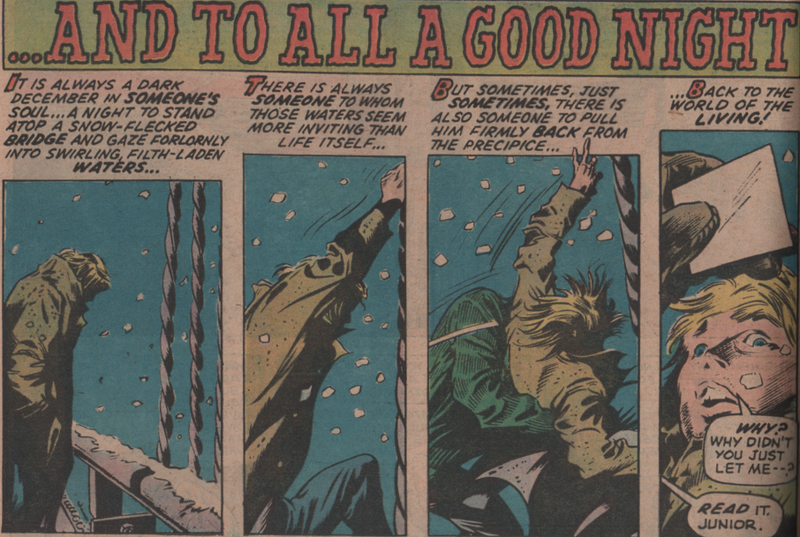 It’s Christmas time, and the Sandman is looking to wrap up the two heroes…or is he (Roy Thomas, writer – Ross Andru, pencils – Mike Esposito, inks – and Artie Simek, letters)? 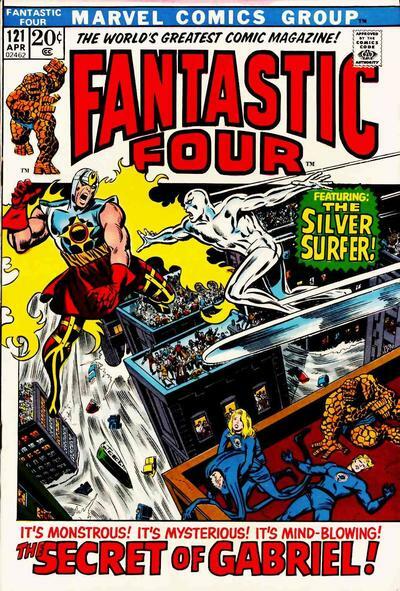 Next, a classic tale from the Silver Age, as the arrogant Submariner decides to go to the surface world. 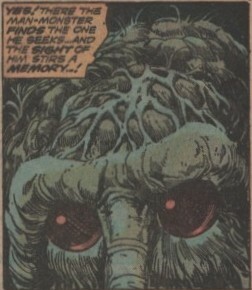 Once there, he speaks with a lawyer about wanting to sue the entire human race. 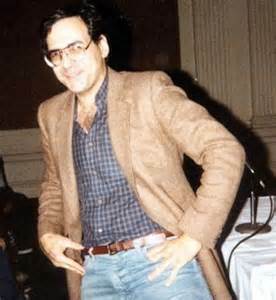 Too bad for him that lawyer is none other than Matt Murdoch, A.K.A. 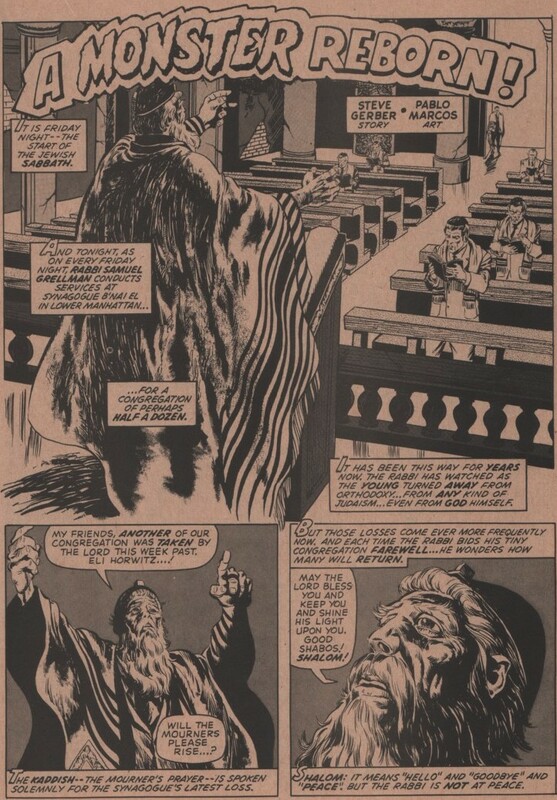 Daredevil (story by Stan Lee, art by Wally Wood, and letters by Artie Simek). 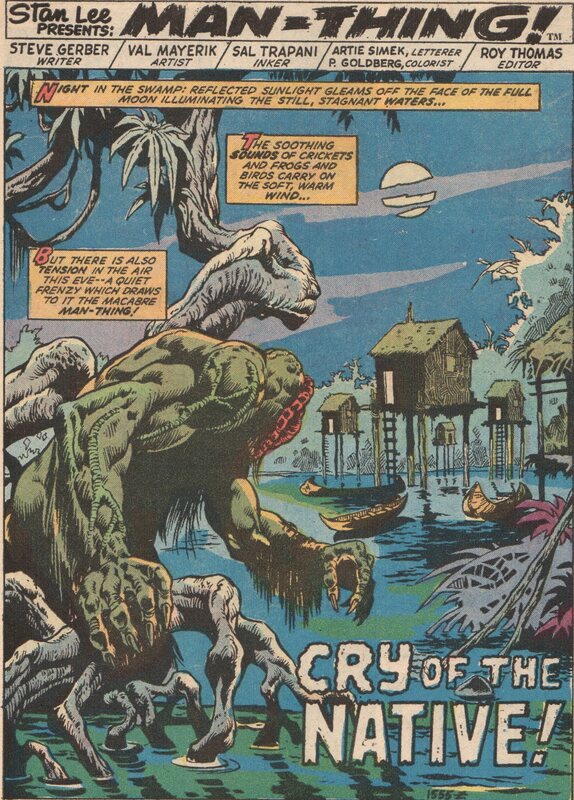 The third tale is the other holiday adjacent one in the book. 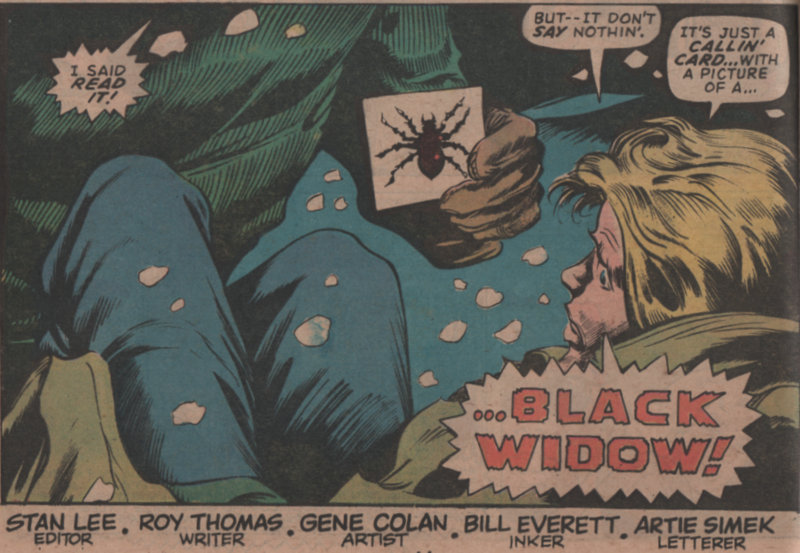 It’s all about the Black Widow, and her man-servant, Ivan! 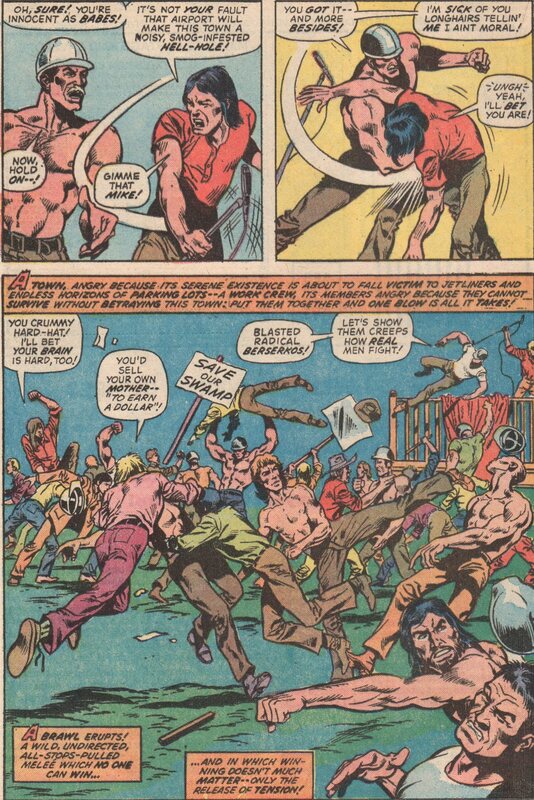 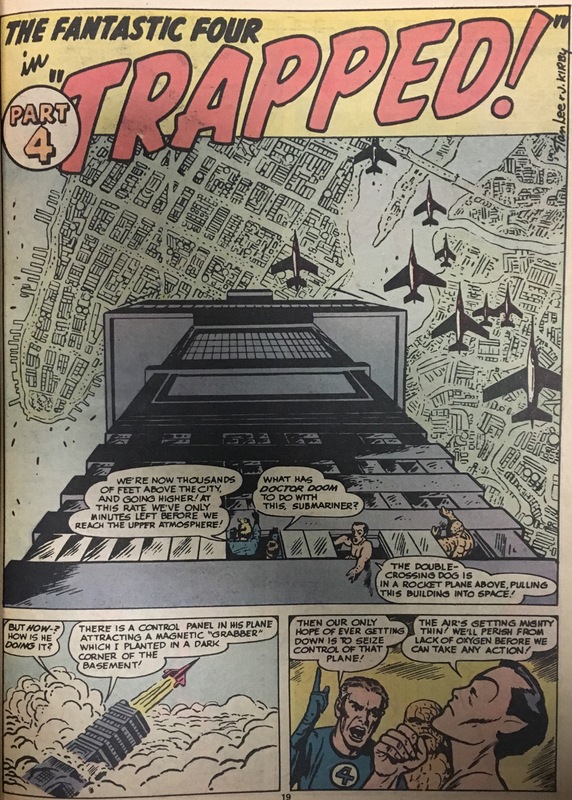 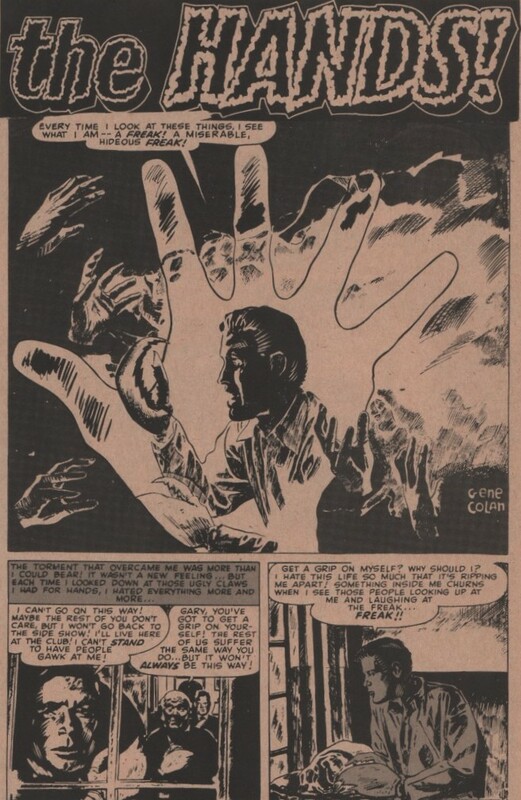 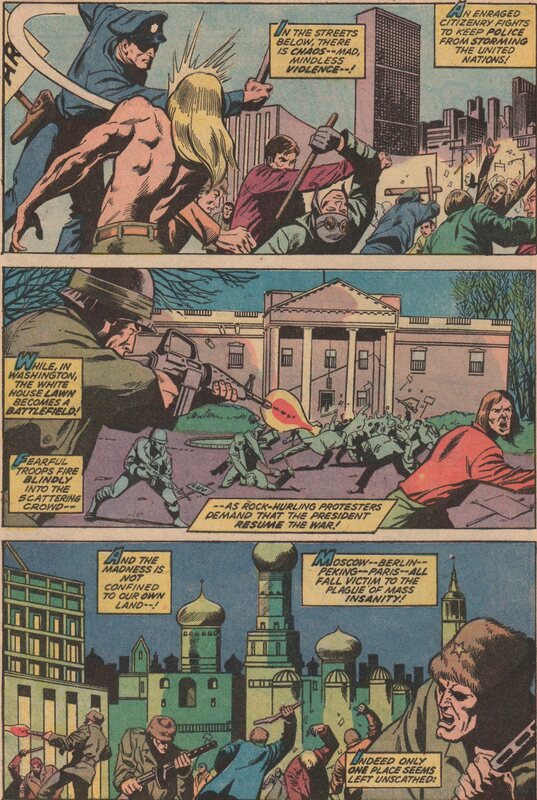 They’re here to help a young man that tried to commit suicide, and then see if they can get him help (written by Roy Thomas, art by Gene Colan and Bill Everett, letters by Artie Simek). 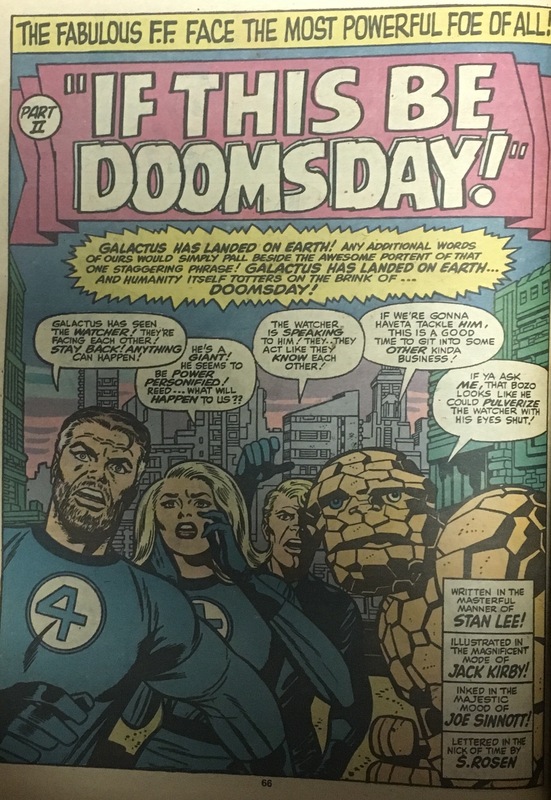 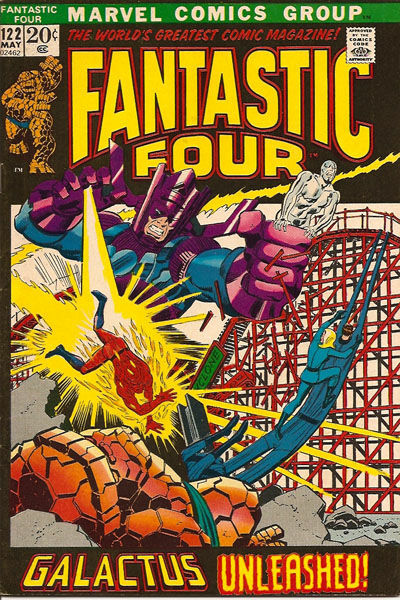 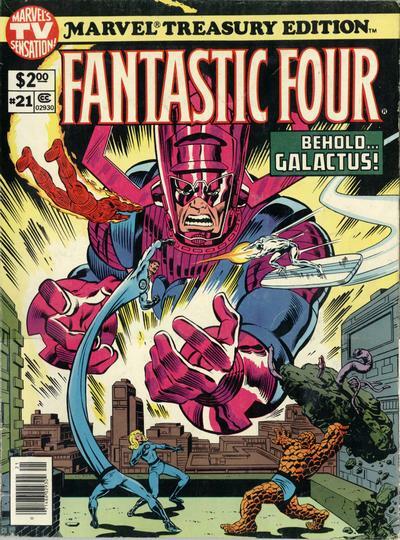 The last two issues are from the Fantastic Four and a crossover with the Avengers! 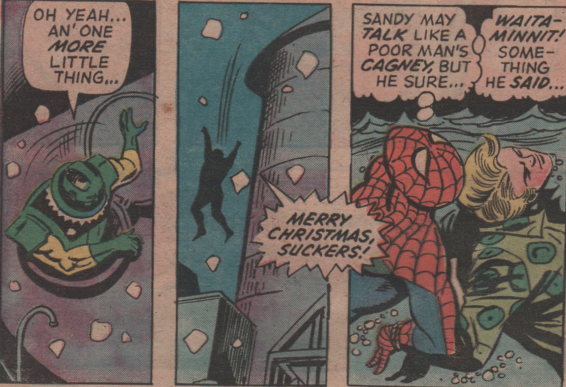 Not much along the lines of holiday cheer, but a cool story nonetheless (of course, by Stan Lee and Jack Kirby!)! 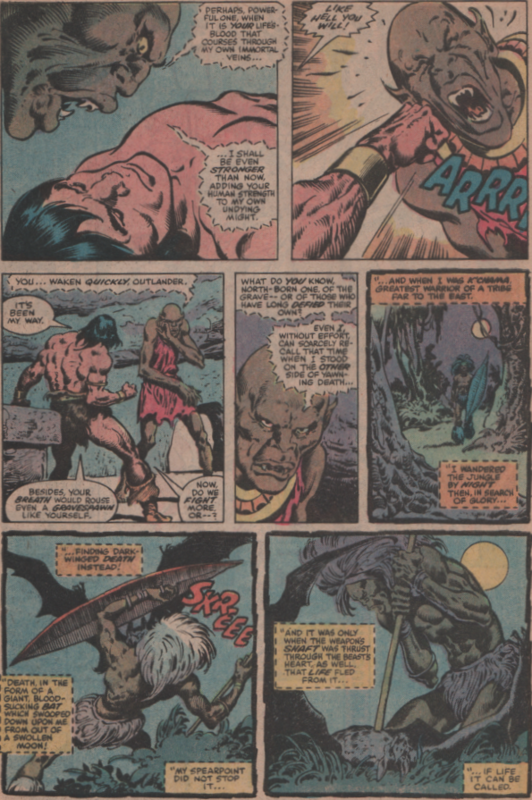 The character Conan, created by Robert E. Howard, is one that some feel can be a little one note, but Howard and those that followed did a great job in changing the surroundings, supporting cast, and opponents for the Cimmerian brawler. 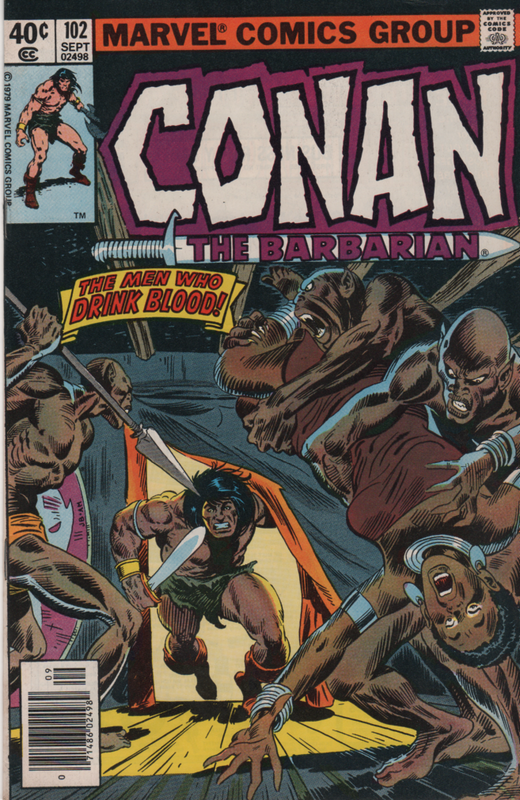 Case in point, these two issues where Conan must fight a vampire and his clan of razor-toothed warriors! 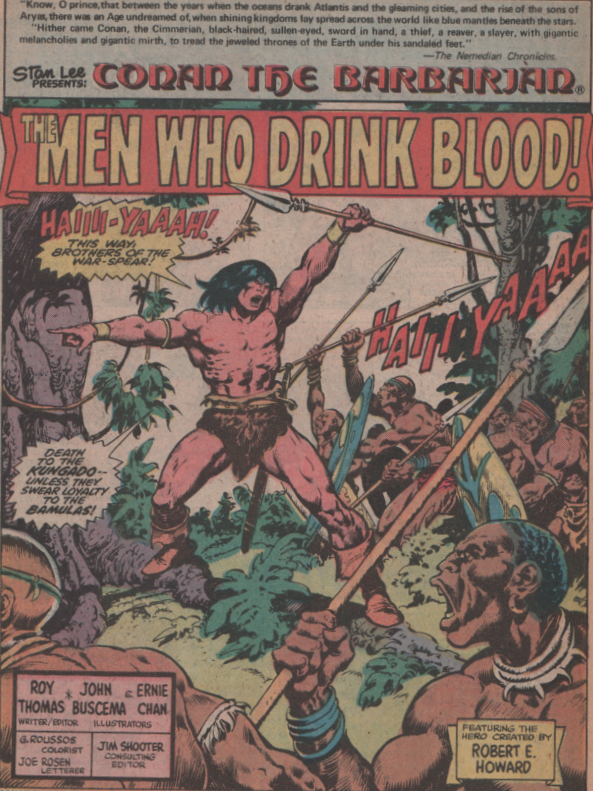 At this point, Conan has lost his love, Bêlit (she died in issue #100), and he has taken up residence with the Bamula Tribe (and become their chieftain), who is at war with the Kungado Tribe. 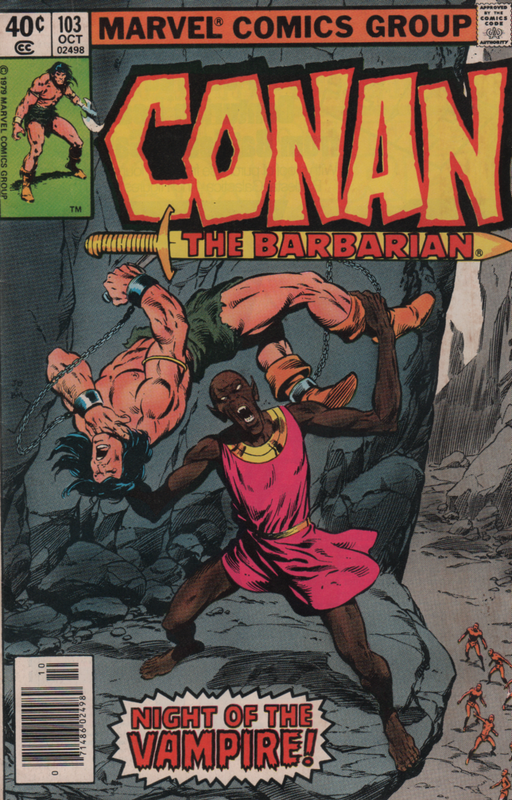 Conan and his mates are viciously attacked by another tribe, called the Drelliks. 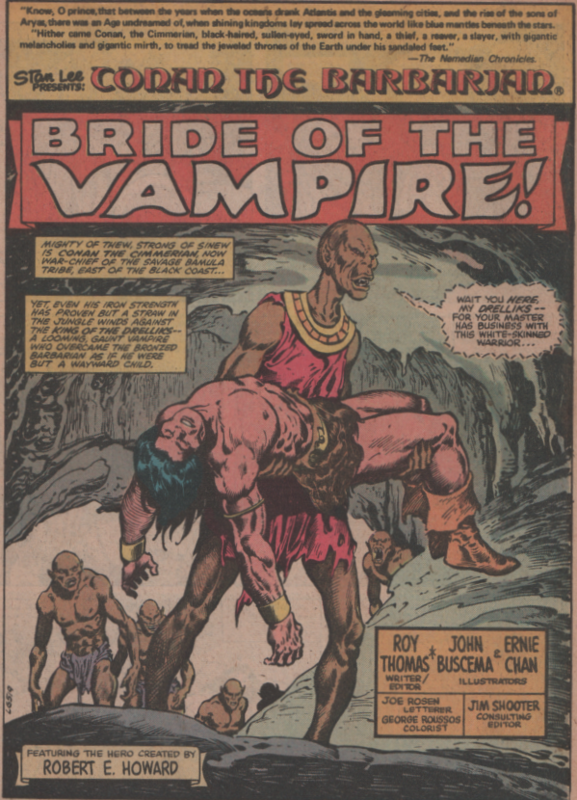 These men are, in appearance at least, vampires! 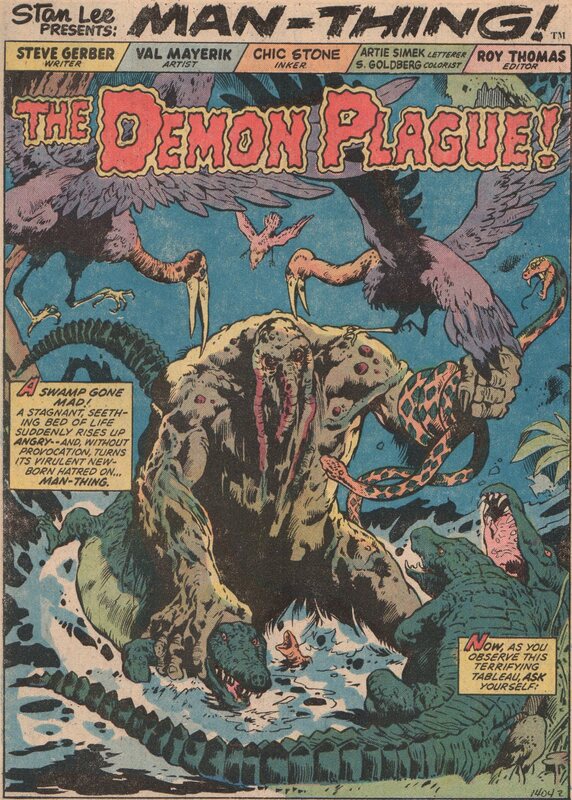 It’s going to take every ounce of strength and cunning for Conan to defeat these monsters! 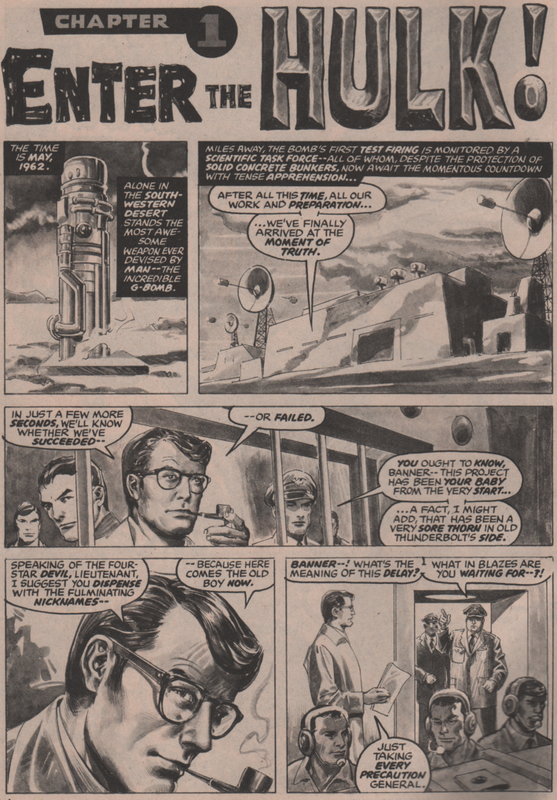 One of the best reasons you can find to read these stories is of course, the creative team. 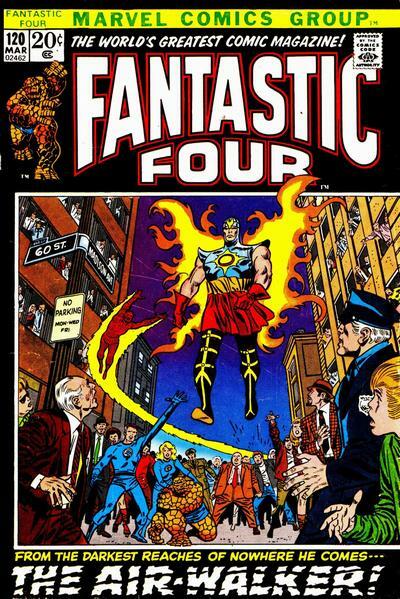 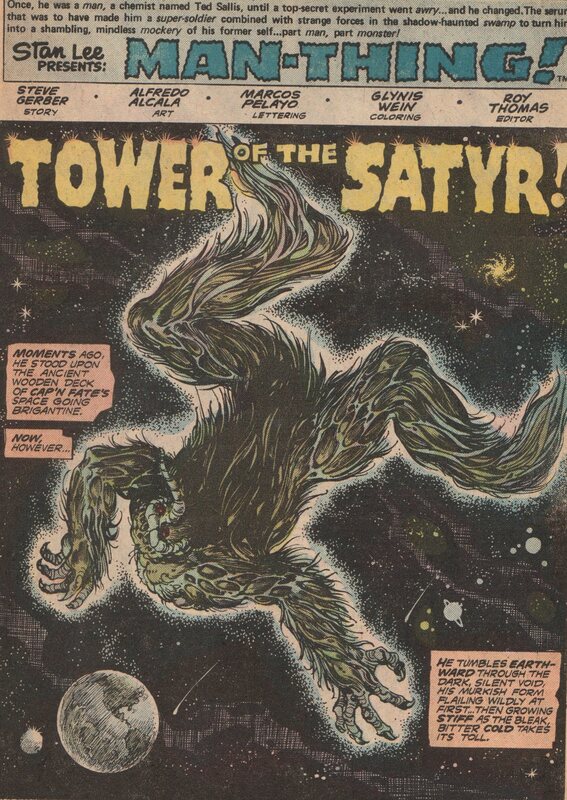 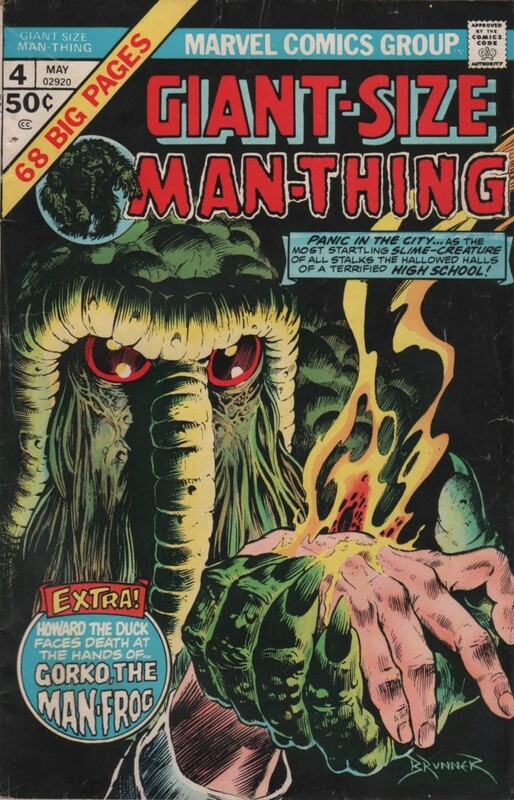 Roy Thomas (writer), was the man at Marvel responsible for them acquiring the rights to print these incredible stories. 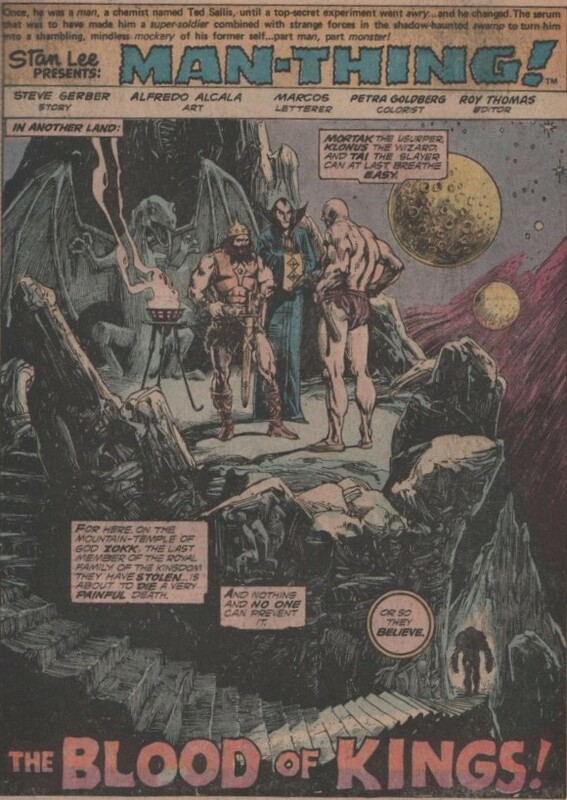 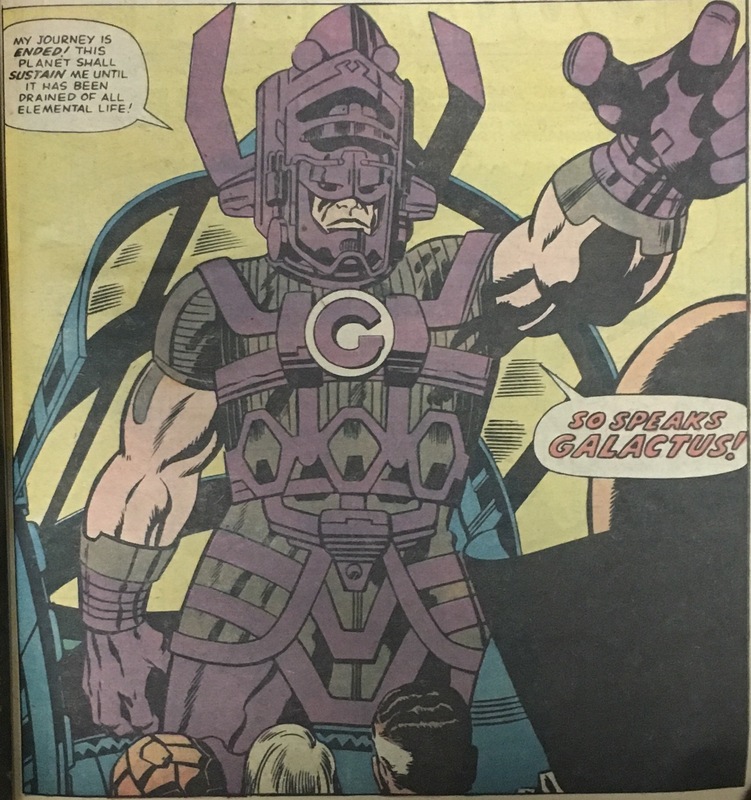 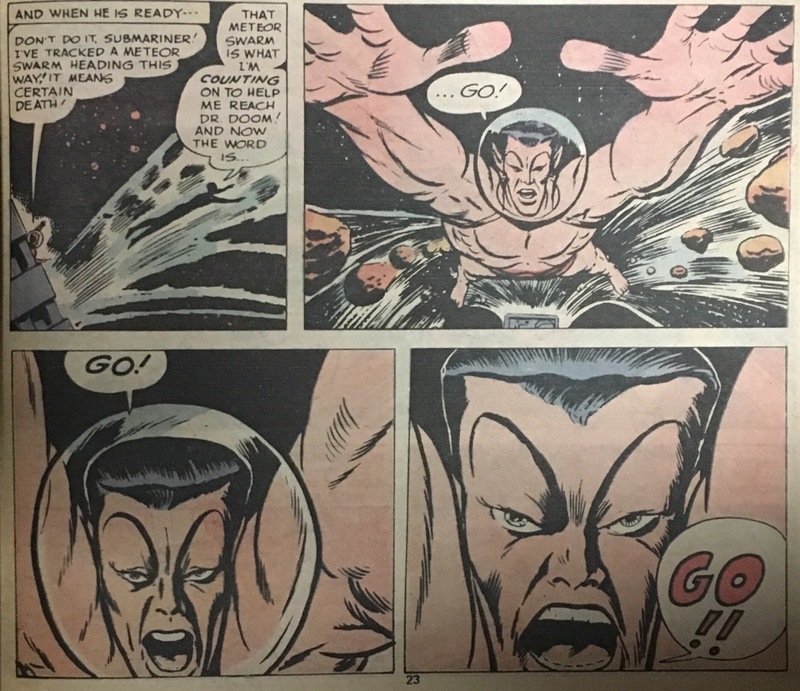 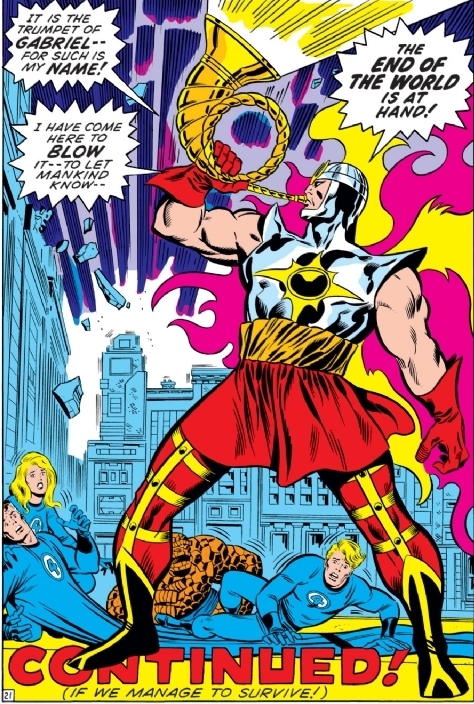 Marvel then made the great decision to have first Barry Windsor-Smith, then ‘Big’ John Buscema create the visuals for these incredible books. 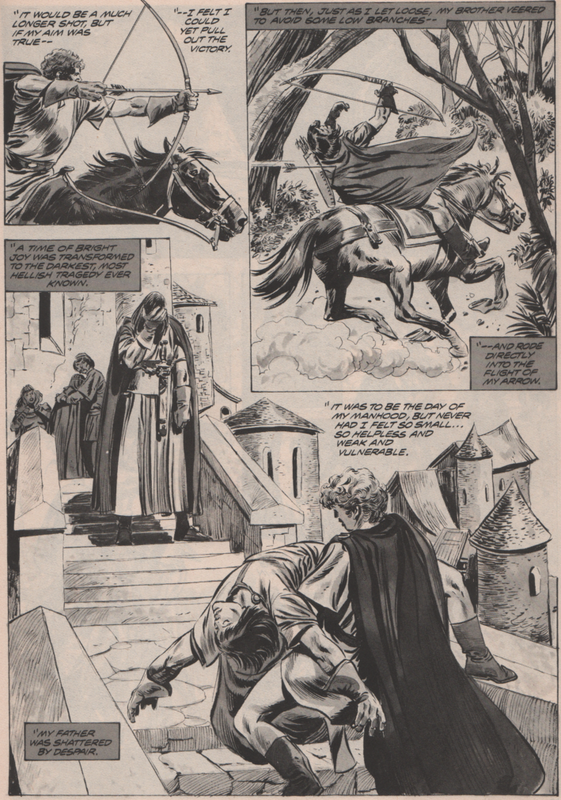 His command of anatomy, ability to convey feelings through body language, and settings. 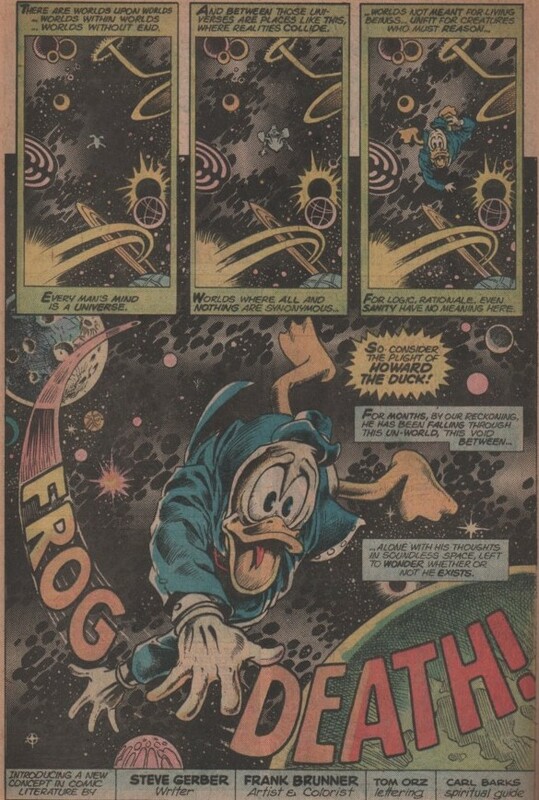 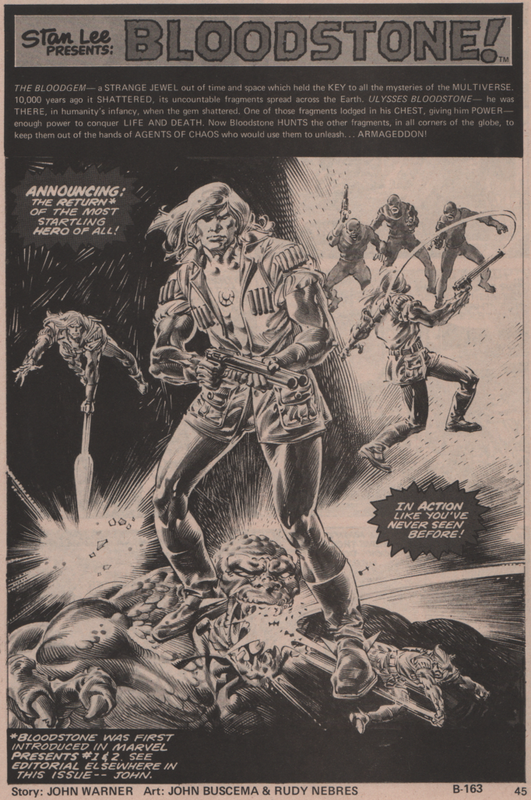 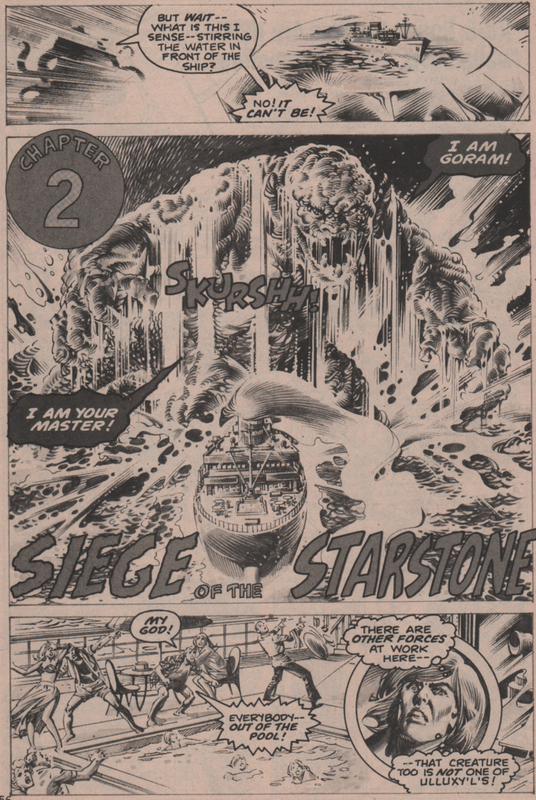 His skills as a penciller are right at the top of the all time greats. 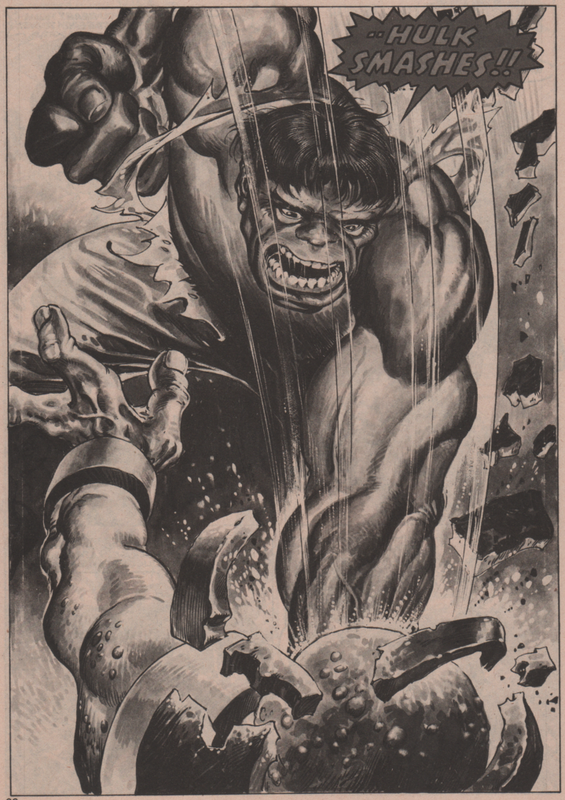 Inking this legendary man, is Ernie Chan, who was the perfect fit for Buscema’s pencils, and the work shows it. 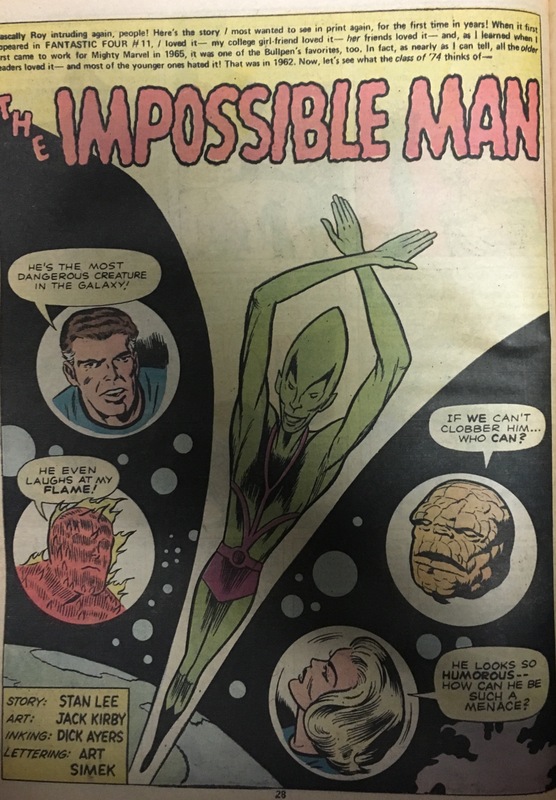 Add George Roussos on colors, and Joe Rosen on letters, and the perfect comic book series is complete! 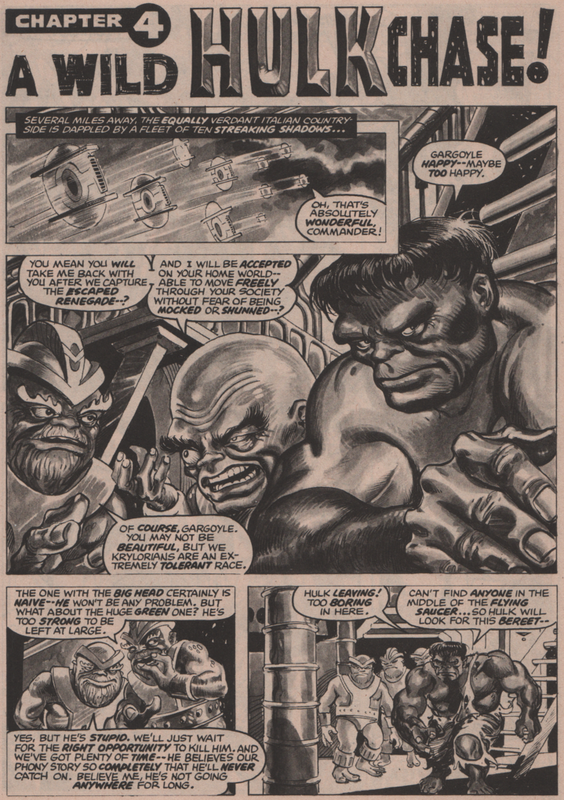 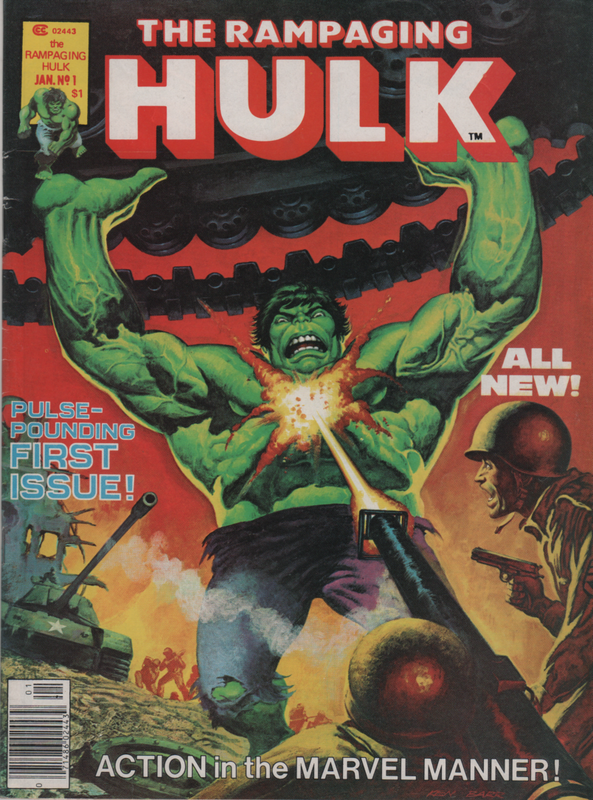 The covers are both penciled by John Buscema, with the first inked by Al Milgrom, and the second by Bob McLeod. 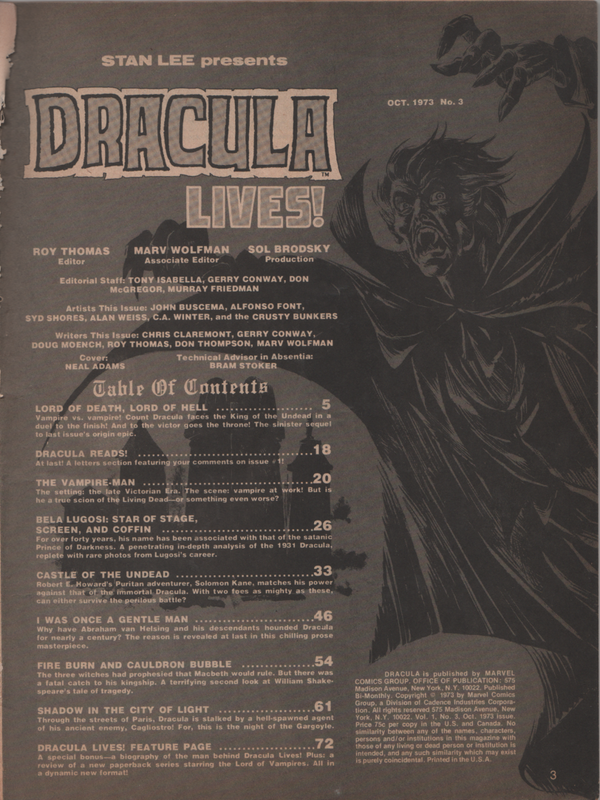 Dracula Lives! 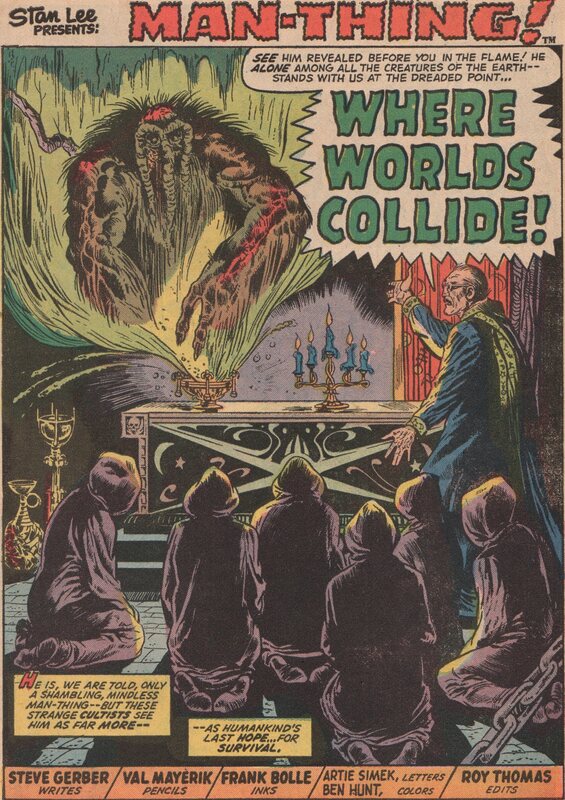 3, 1973 “Prince of Darkness, City of Light! 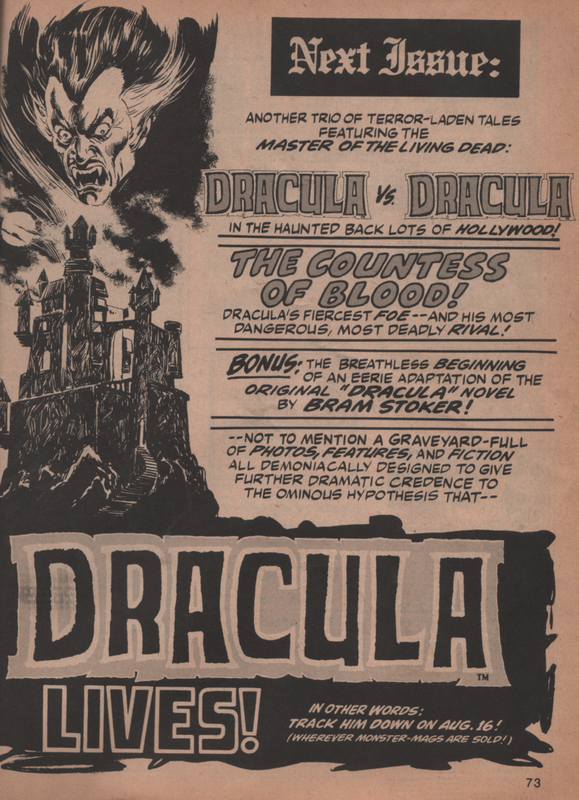 Is there a more iconic horror figure than Dracula? 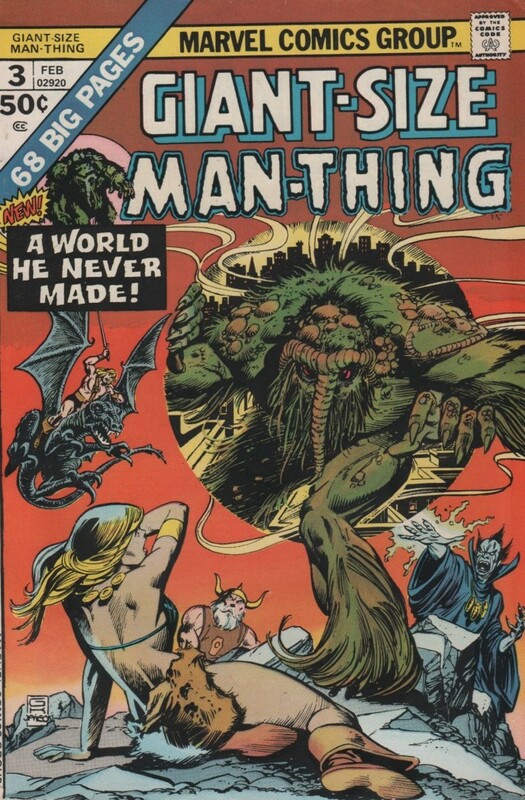 Probably not, and after acquiring another issue of this spooky mag, it’s time to dive into it! 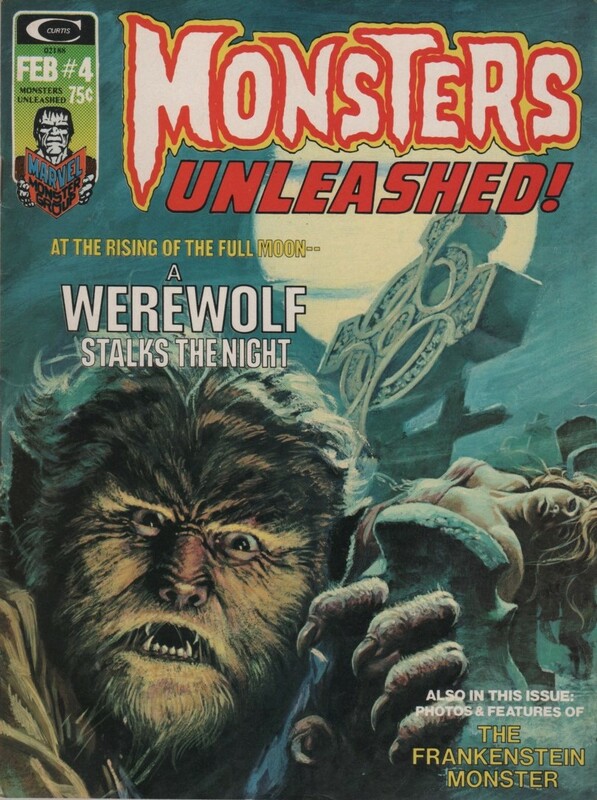 October is here, and the horror mags from the Bronze Age are a great way to celebrate the season. 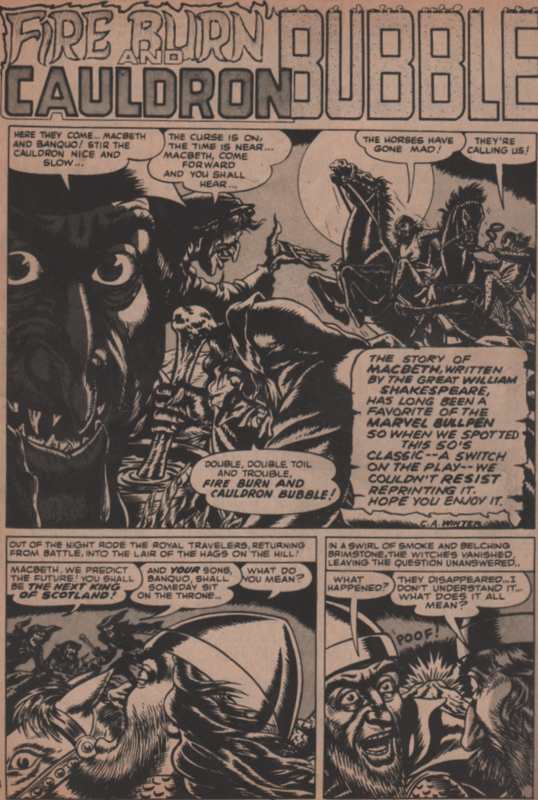 Vampires, witches, a gargoyle, and Solomon Kane! 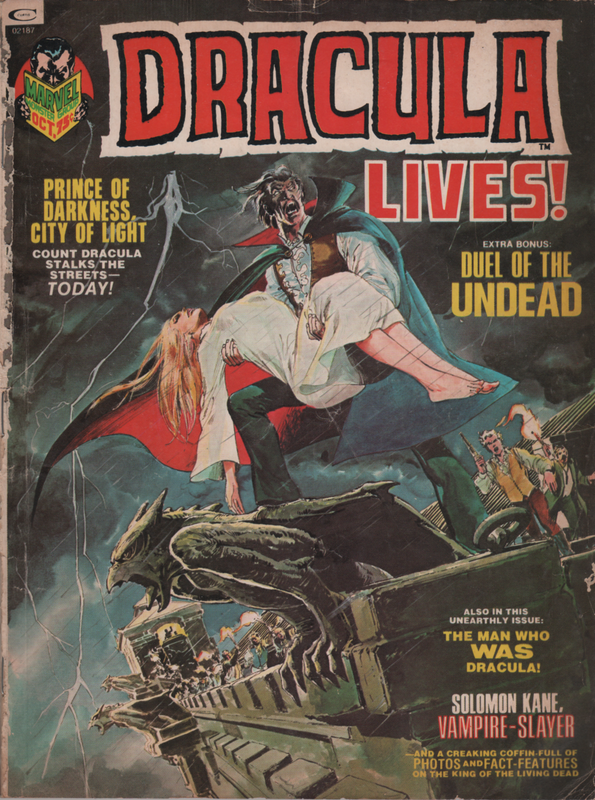 A great issue for sure that brings a solid spotlight on Dracula not only in the Marvel universe, but also in contemporary fiction and film. 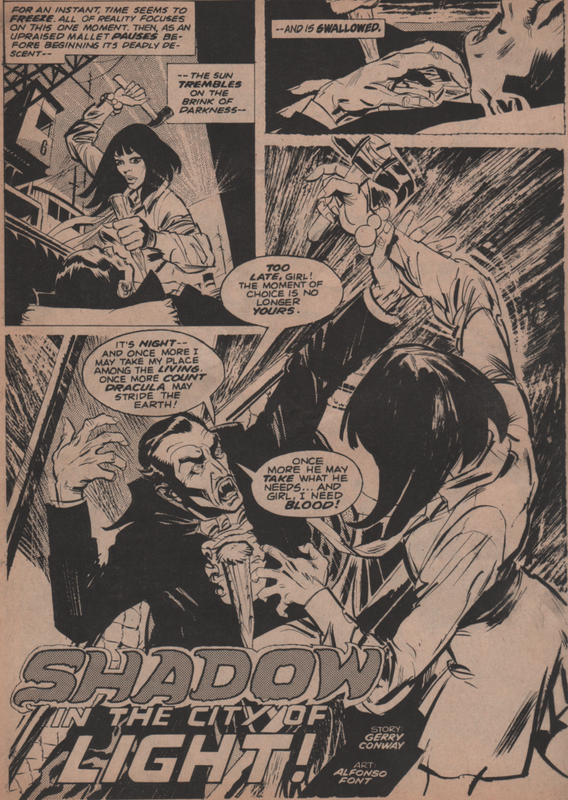 The Dracula story is one that dives into the history of the character in reference to the actual continuity of the Marvel Universe (written by Marv Wolfman, and art by ‘Big’ John Buscema and Syd Shores). 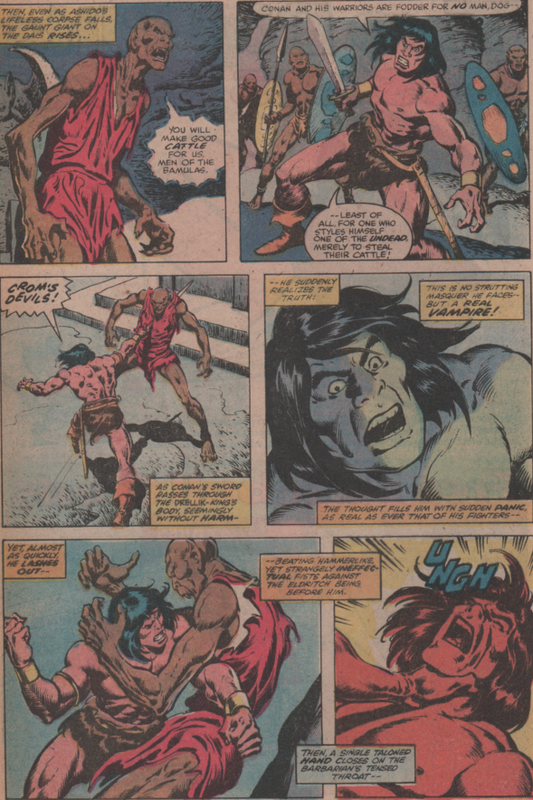 A battle with another vampire, Nimrod, to be specific, who was the previous lord of the undead. 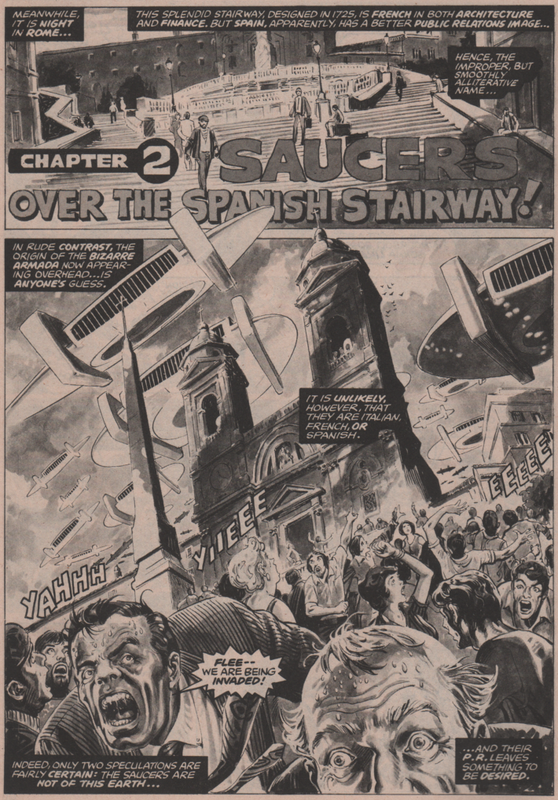 The second story is a reprint from the 1950s. 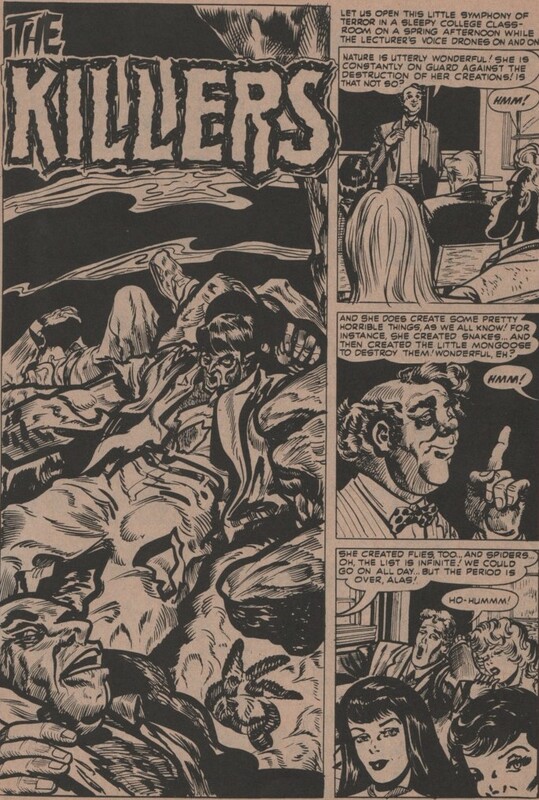 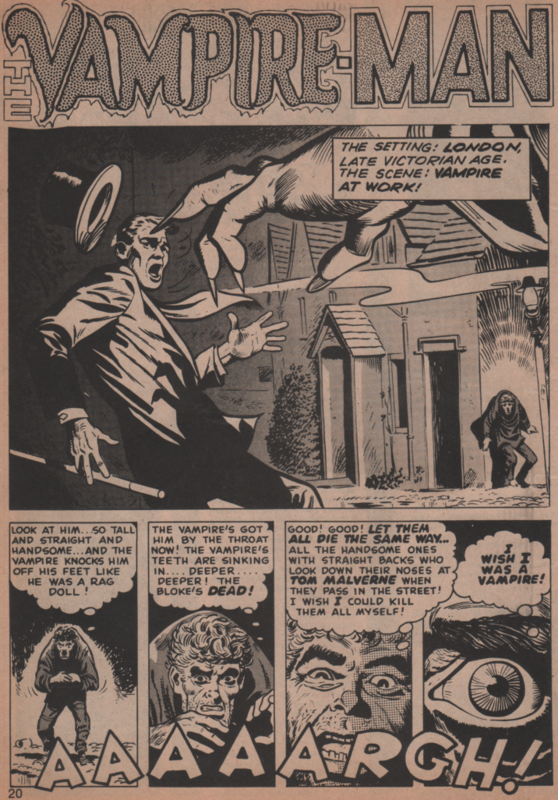 It involves a vampire and a slasher, à la Jack the Ripper (art by Larry Woromay). 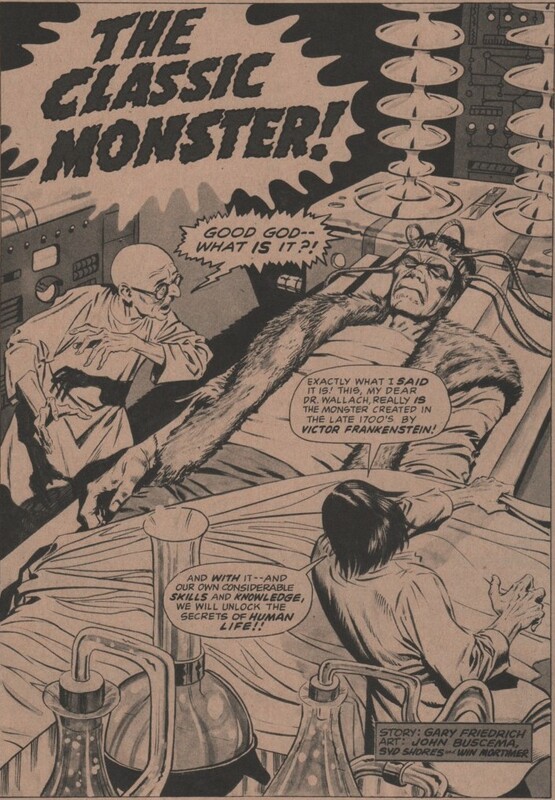 This story is followed by a great puff piece about Bela Lugosi with some fantastic photos from his films (written by Doug Moench). 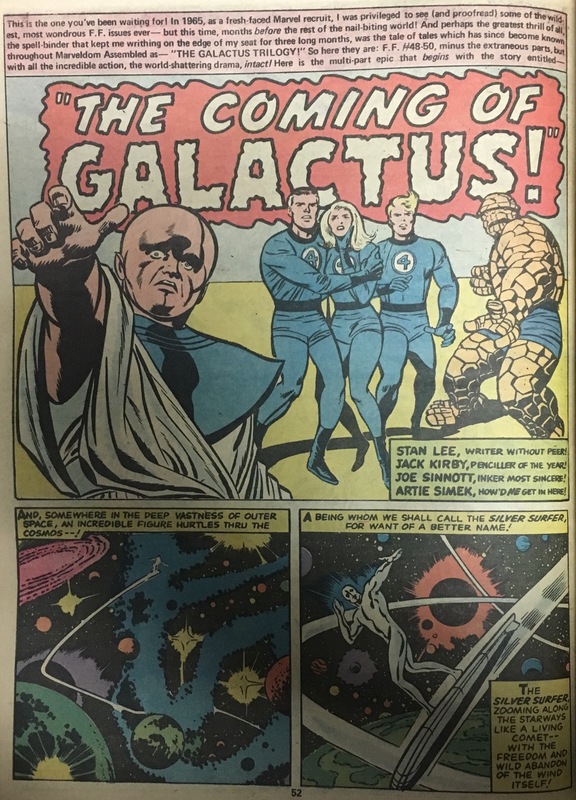 Next we have what is probably the best piece of the book. 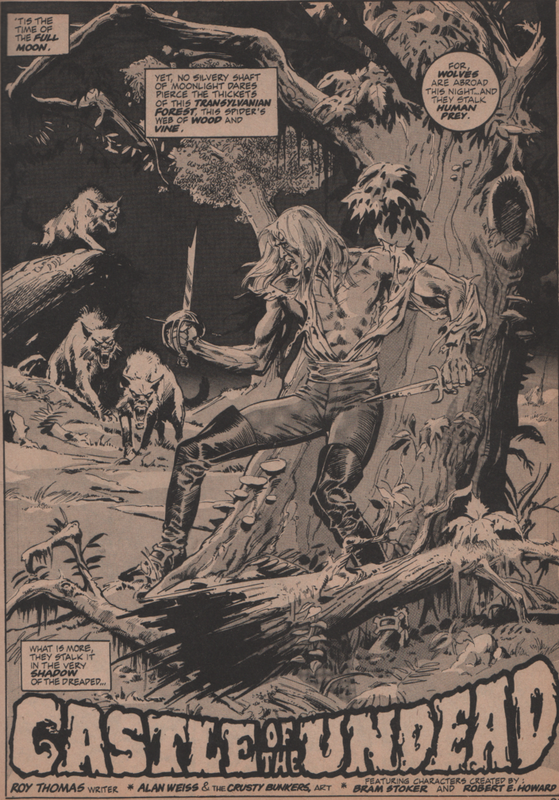 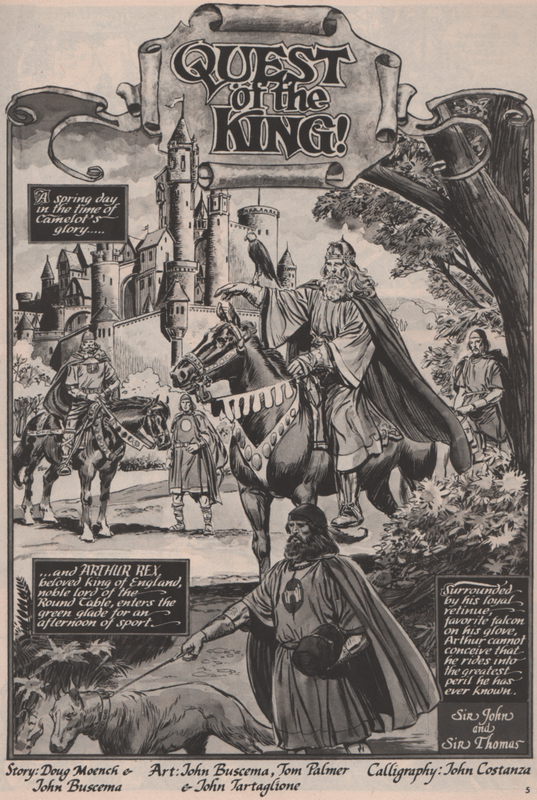 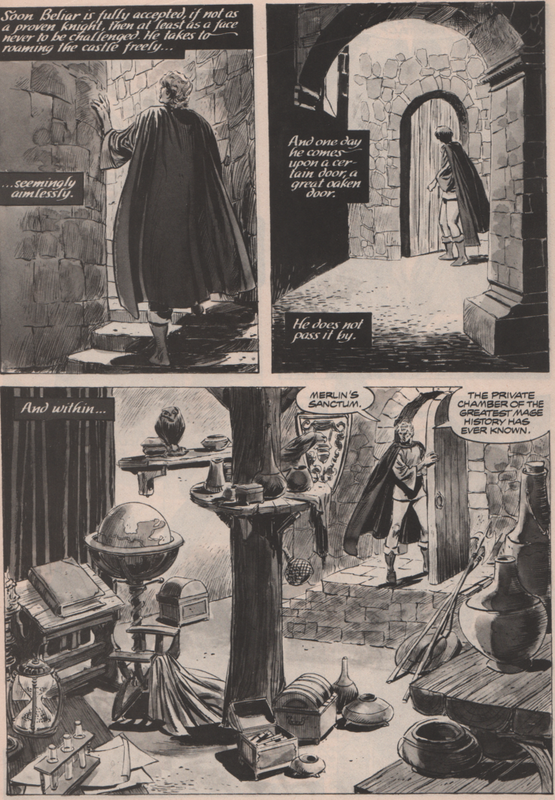 A story about a chance encounter between Dracula and the sword wielding Puritan, Solomon Kane (written by Roy Thomas, with art by Alan Weiss and the Crusty Bunkers)! 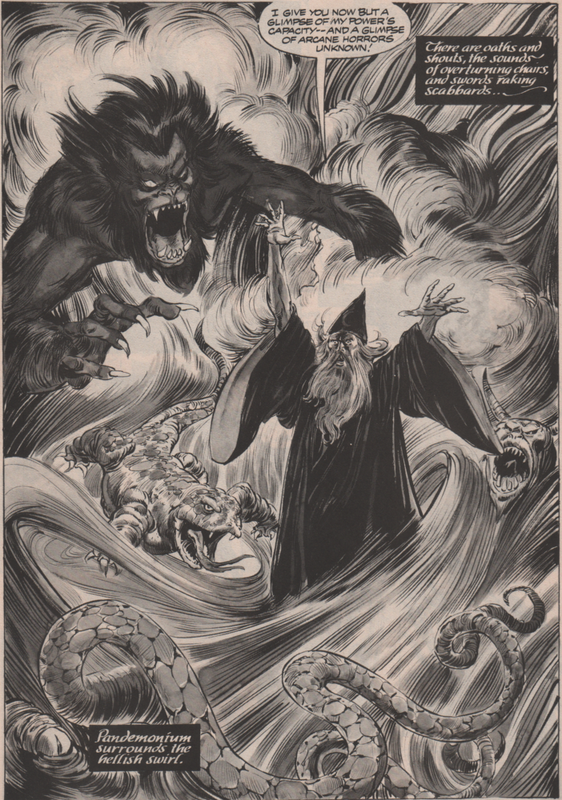 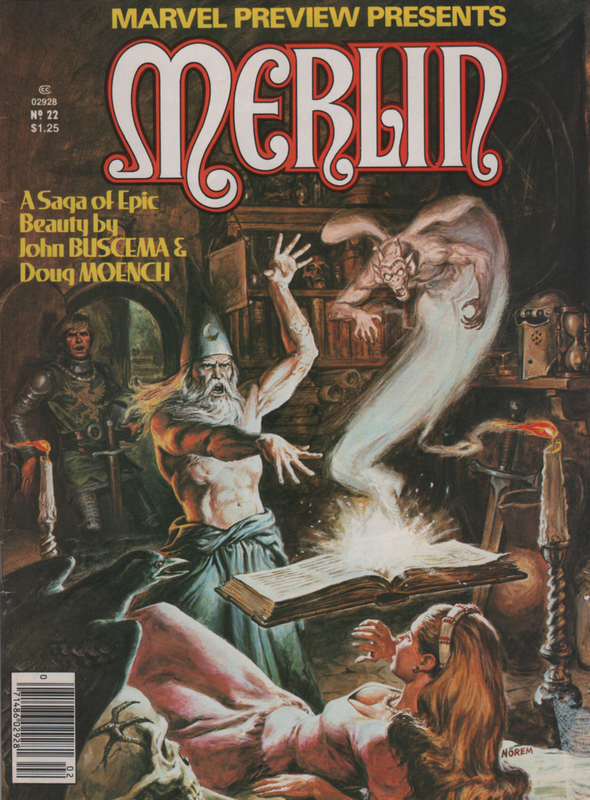 Another reprint from the Atlas era follows with an interesting take on the Shakespeare story Macbeth (art by C. A. 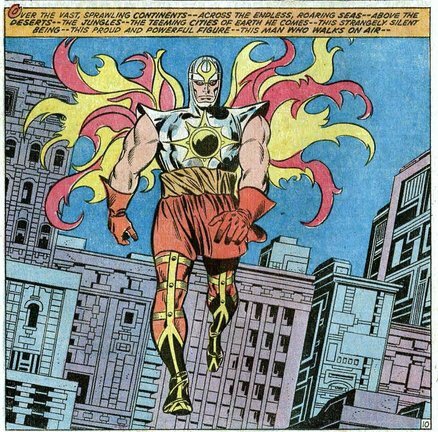 Winter). 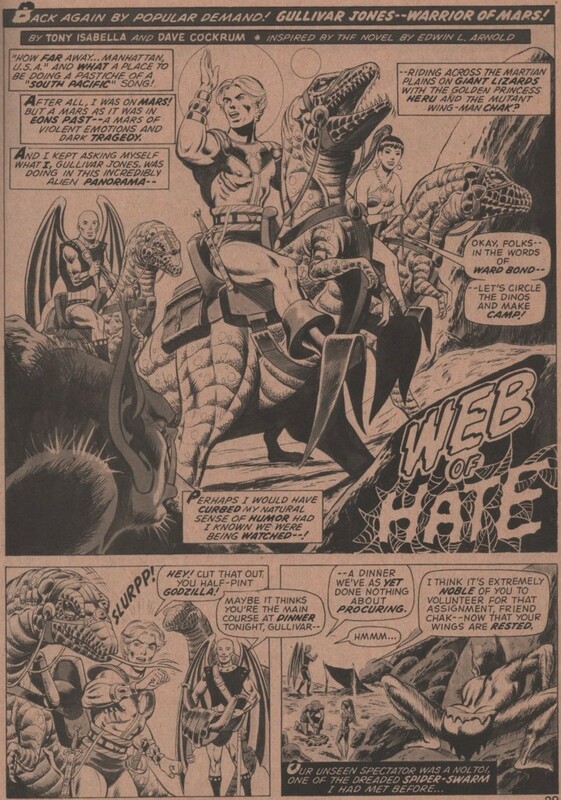 Finally, we get a super story about Dracula in Paris, and this time he must do battle with a stone gargoyle (written by Gerry Conway, and art by Alfonso Font)! 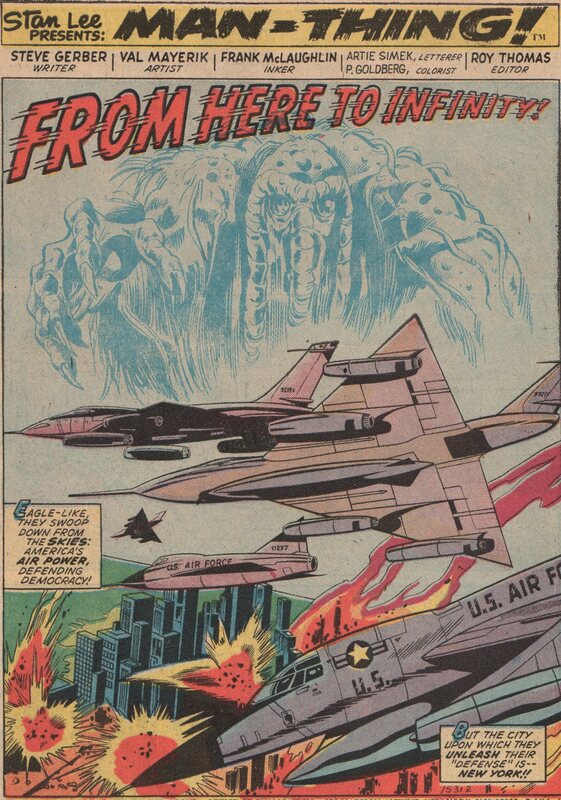 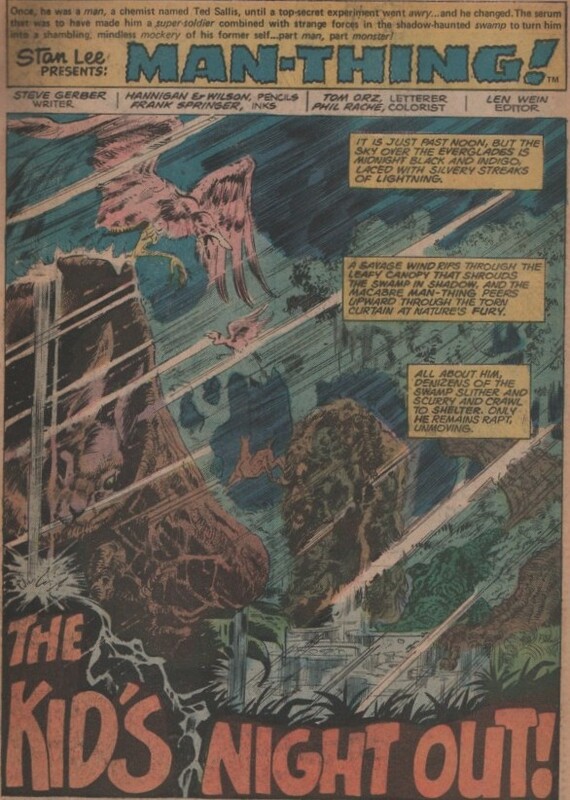 There is also a neat story by Chris Claremont that features some love for Hammer studios! 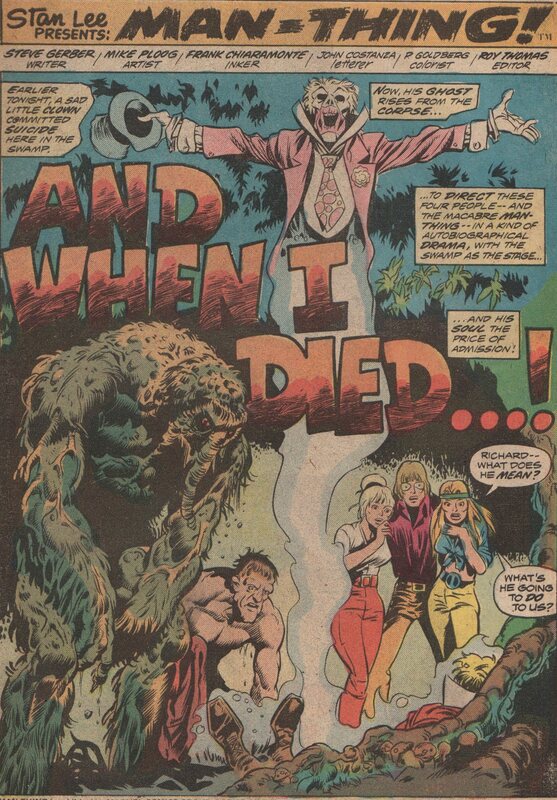 All of this is kicked off by a wonderful painted cover by Neal Adams!